These spectacular rooms, the best-loved interiors from all of Wright's prodigious architectural achievements, show his trademark design techniques. 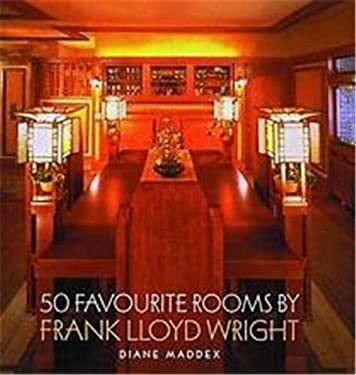 Wright simplified room arrangements with built-in furniture and created furnishings in harmony with the architecture and with nature. He made the hearth the center of family life and his art glass windows and doors brought nature right inside the building.